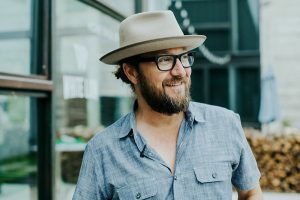 Greg Davis is a National Geographic Creative Photographer and an Ambassador for the Austin non-profit Well Aware, which provides innovative and sustainable solutions to the problems of water scarcity and contamination in Africa. His collectible works hang in private and institutional collections worldwide. We are thrilled to have Greg as our very first International Series visual art collaborator! He’ll be on hand at the AISD Performing Arts Center during this Saturday night’s concert with Ioana Gandrabur, exhibiting some of his stunning photographs from all over the world. Join us for an international celebration of music, art, and human connection. Nine months into a transcontinental soul-searching expedition, a twist of fate put Greg on a dirt road in northern Vietnam—one that converged with that of Black Hmong blanket weaver. Without a word of common language between them, Greg gestured towards her hands. 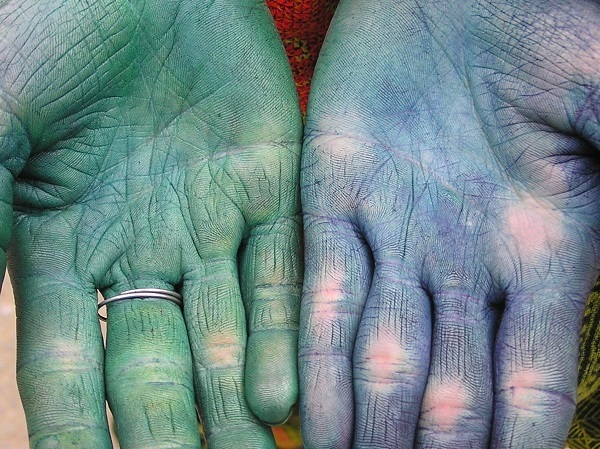 She held them out: deep blue and green, worn from years of labor, an intricate map of the lines of fate. With only a $400 point-and-shoot, Davis captured something larger than himself. Though he did not know it yet, in this fleeting moment, his life was woven with that of the blanket weaver. They had walked hours, risking exposure to heat, animal and even man. A perilous journey, each day, every day. A journey of need. A journey of water. Education wasn’t the priority anymore, the intent was to fetch a basic human need…clean drinking water. Young girls are normally tasked with this job. School becomes secondary. In this arid region of Northern Kenya, at a young age, this becomes an obvious reality to life here. But but even then, its not always guaranteed that the water gathered isn’t tainted and may possibly cause more harm than good. This is where Well Aware delivers. 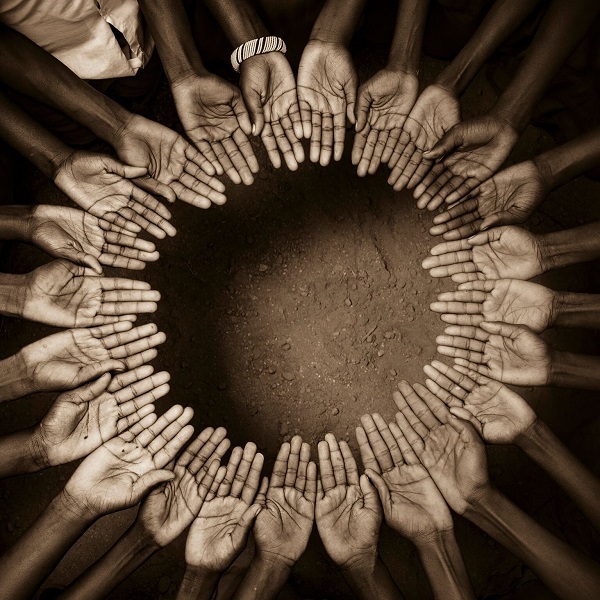 Well Aware, an Austin based non-profit, provides innovative and sustainable solutions to the problems of water scarcity and contamination in Africa. This image was captured in the village of Daaba, where I worked with the children in a creative way to represent the well that was built there in 2011. 20% of the profits from the sale of Well Aware fine art photographs go back to help serve those in need. He sat quietly on the banks of the Sangam, the confluence of the three holiest rivers in India, his gentle spirit shined. Mohan was quick to smile and the type of man that when you first met him, you’d swear that you had met before. 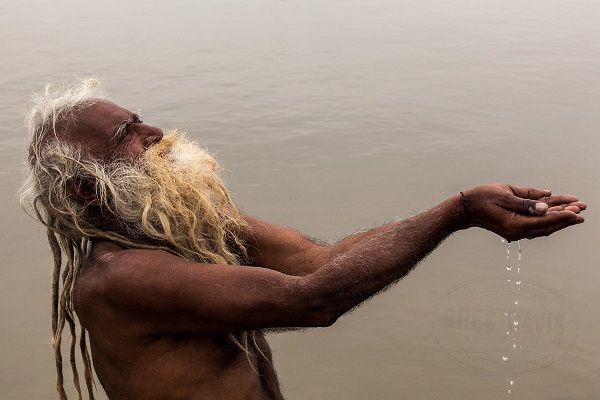 I first met Mohan in 2013 at Kumbh Mela, the world’s largest pilgrimage in Allahabad, India. I sat with him one day and at one point asked where he lived. He smiled graciously and replied, “The sky is my roof and the land is my room.” Mohan spent his time near the birthplace of Lord Krishna, four hours upriver but had no home. He came from a wealthy family but chose the life of a sadhu, an ascetic who is solely dedicated to the contemplation of God. It was his eyes that drew you initially, but it was Mohan’s heart that ultimately captured you. Mohan welcomes others into his realm and leaves them all the better for it, for he believes, as he stated many times in our encounters, that “We are all one.” In July 2017, we embarked on a quest to find Mohan, somewhere between the heavens and the earth, not just for the man, but for the wisdom that resides within. To learn more, visit www.themanfrommathura.com.